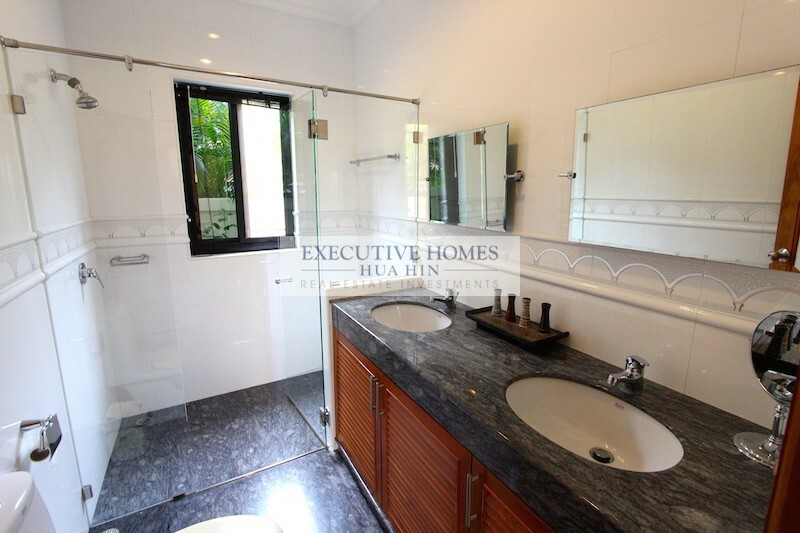 Home BEAUTIFUL HUA HIN RENTAL HOME AT GREAT PRICE! 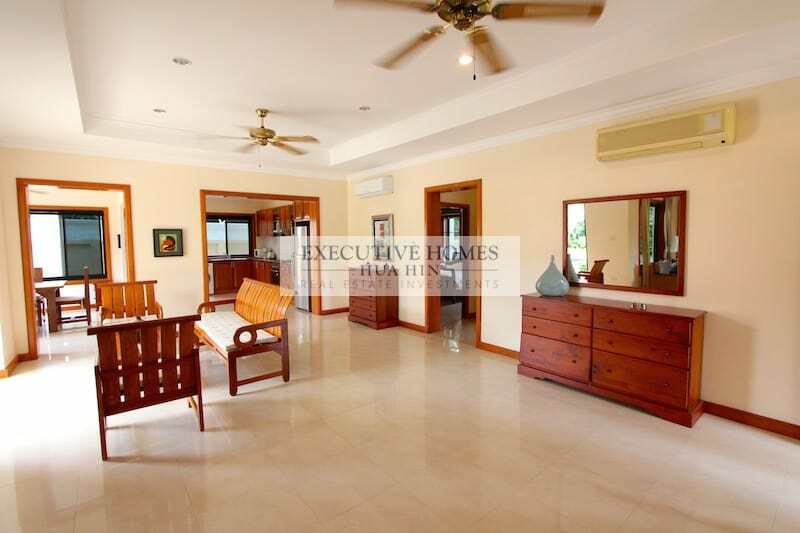 BEAUTIFUL HUA HIN RENTAL HOME AT GREAT PRICE! 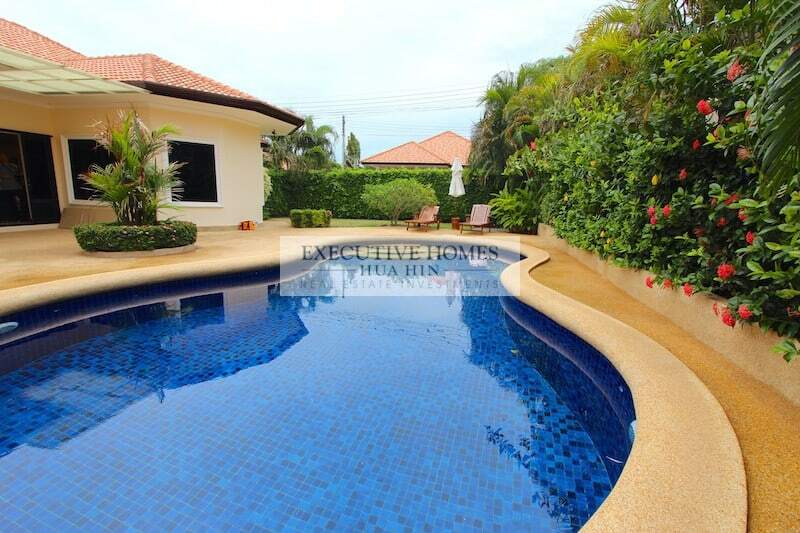 This is a fantastic home with lovely gardens, a nice, private pool, and a very spacious interior. 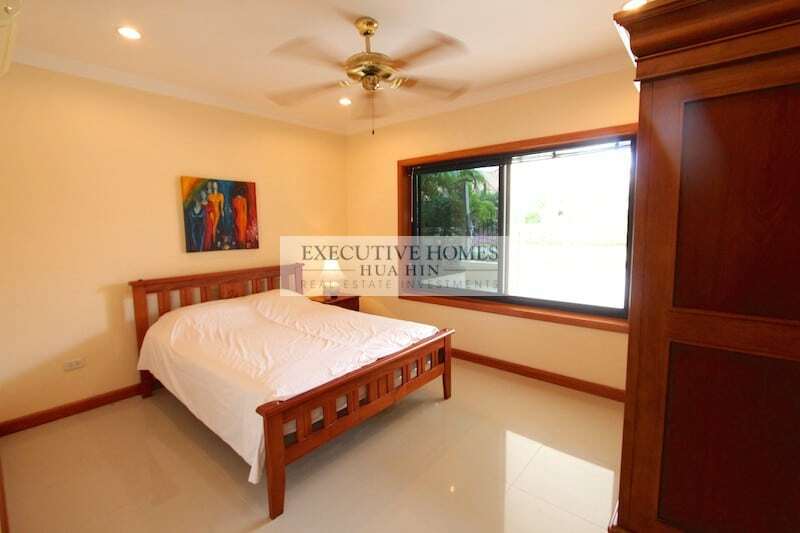 The home has 2 large bedrooms and a smaller 3rd bedroom with sofa bed and desk. 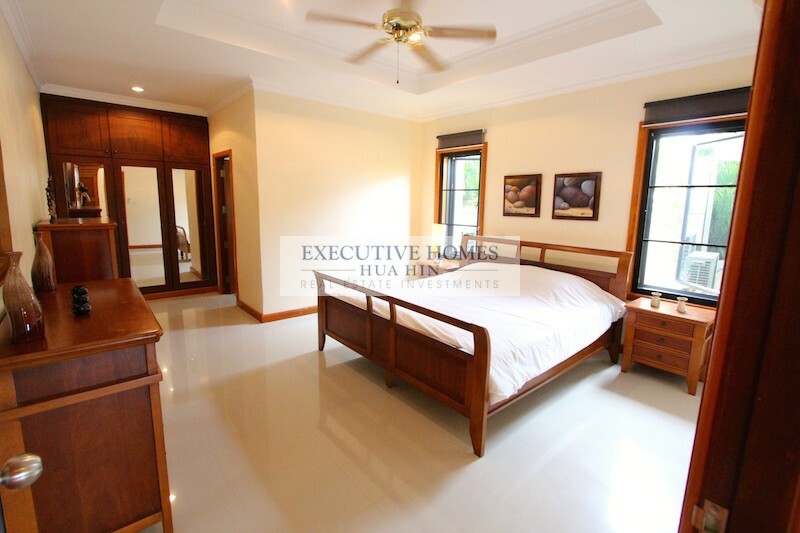 The master bedroom has a large built-in wardrobe and an en suite bathroom. 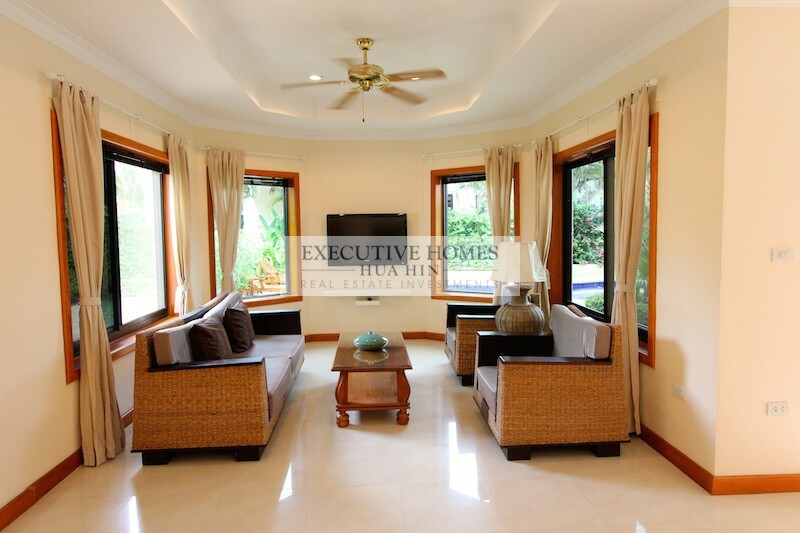 There is a large, open plan living room and additional seating area with direct terrace access. 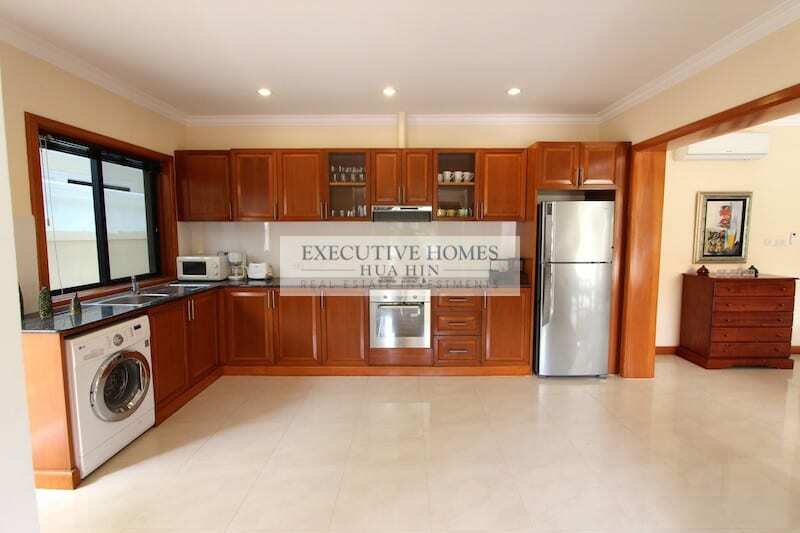 The kitchen is very nicely fitted out with all necessary appliances, including a washing machine, an oven and gas stove. 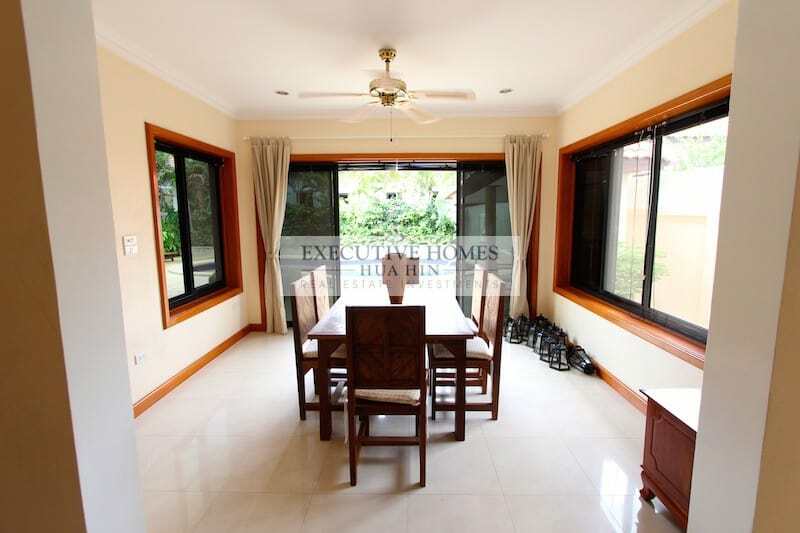 There is a separate dining room, also with direct terrace access. The pool is free form and is long enough for swimming laps. 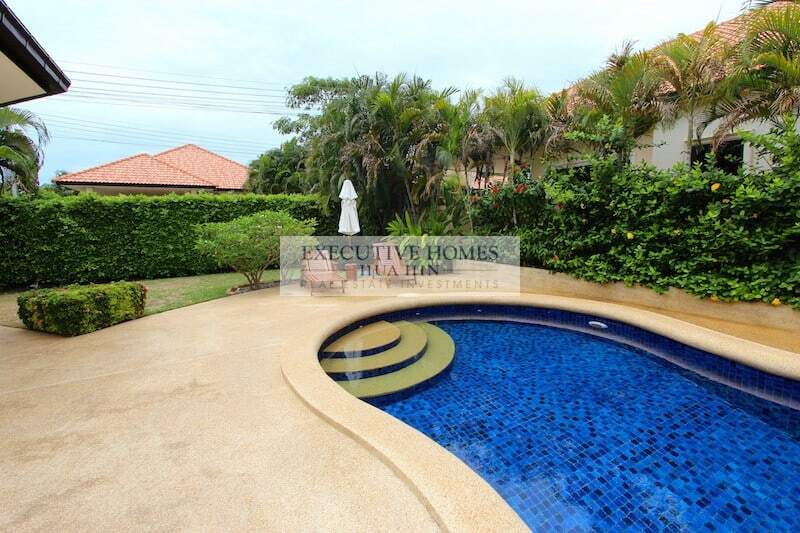 There is a covered sala for outdoor dining, and 2 pool loungers for relaxing in the sun. The property enjoys a covered carport and a privacy wall. 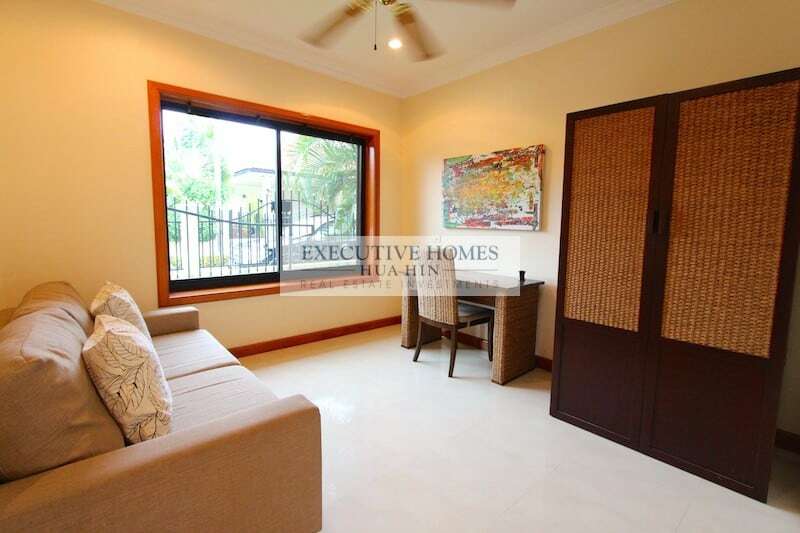 The home is located within the centre of the development for added security, and the area is quite safe.